Mr. Brice W. Herndon was the founder and owner of The Brice W. Herndon and Sons Funeral Homes until his death on May 9, 2001. A native of Walterboro, South Carolina he was one of eight children born to the late LeRoy and Corrie Carter Herndon. He served his country faithfully in the Untied States Army during World War II and was a retired Warrant Officer with the South Carolina National Guard. He was a member and Elder of Evergreen Christian Church and was a fifty year member and Past Worship Master of Unity Lodge No. 55 in Walterboro. He was also a Past Worthy Matron of Walterboro Chapter No. 147, Order of The Eastern Star where he was serving as Treasurer at the time of his death. He was a life time member of the American Legion Post 93 where he served as Post Commander. Mr. Herndon began his career in funeral service through a partnership formed with Mr. Leon Bearrow n the 1950's in our old location on Historic Hampton Street where he operated the funeral home and ambulance service until moving the funeral home to the old Kimbrell Estate On Bells Highway in 1971. He was a member of the South Carolina Funeral Directors Association as well as the National Funeral Directors Association and had served on South Carolina State Board of Funeral Service. He was married to the late Katherine Harbiston Herndon and together they had three children, the late William Brice "Buddy" Herndon, Sr., the late Patricia Herndon Way, and Donald Allison Herndon. 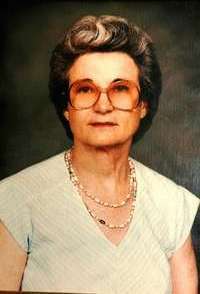 Katherine Harbiston Herndon was the co-founder and co-owner of The Brice W. Herndon and Sons Funeral Homes; as well has holding the office of Chief Administrator for the funeral home and memorial cemetery for many years. A native of Cottageville, South Carolina she was a daughter of the late. Before her marriage to Brice W. Herndon, and in her younger years, she was a waitress at the old Southland Restaurant, on Highway 15 North in Walterboro. Over her years in funeral service she became very devoted to the families that her and her husband served. She raised her children on the values she was taught, and instilled into each of them the values of life. She was a member of Evergreen Christian Church and was for many years Conductress of Walterboro Chapter No. 147, Order of the Eastern Star, a position she was holding at her death. She died in September of 1991 form heart complications and diabetes. Leonard was a native of Walterboro and was employed with our company for several years prior to his death. Along with our company, he was also employed with J. H. Hiers Construction in Walterboro. He was a member of Saint Anthony Roman Catholic Church where he was a member of the Knights of Columbus No. 8502. He was also a Master Mason and a former member of Unity Masonic Lodge, No. 55, Ancient Free Masons in Walterboro where he served as Master of the Lodge for two terms, he then moved his membership to Bells Lodge, No. 236, Ancient Free Masons. Leonard was married to Isabel and had a son, Matthew, and a daughter, Adrienne. James was employed with our company for several years at the time of his death. Before joining our firm, he retired as Supervisor of Purchasing and Safety from Coastal Electric Cooperative in Walterboro. He was a member of Bethel United Methodist Church, Ruffin Charge where he was active in many aspects of the Church's Work. He was the Logistic Coordinator for the Colleton County Relay For Life annual Walk. He also had served on the Colleton Prepatory Academy Board of Directors from 1995 to 1998, and Colleton County Resource and Development Board. 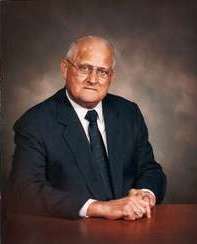 He was a member of the Walterboro Lions Cluby and served as President in 1987, Boy Scouts of American, and coached in Various areas of the Colleton COunty Recreational Commission ball programs. He was instrumental with the Colleton County Fire Rescue where he was a Volunteer Fire Fighter having retired in 2009 with over thirty in-service hours. He was a member of Bethel United Methodist Church, Ruffin Charge where he was active in many aspects of the Church's work. He was also a member of Bells Masonic Lodge, No. 236 Ancient Free Mason where he was a Past Master and was the Secretary for many years. He was the husband of Cathy Gillispir Bryan who passed away in March of 2009 and was survived by two sons, Jamie and Matthew.